Free Shipping Included! 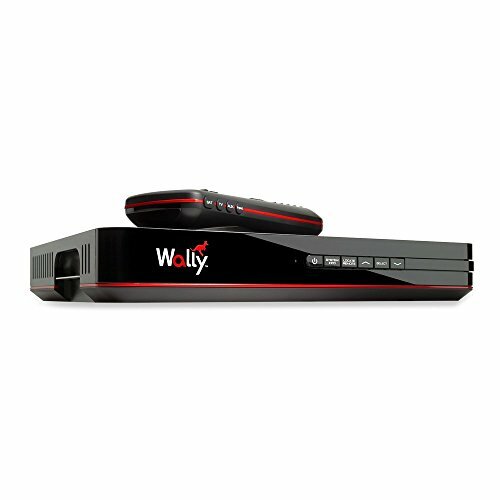 Dish Wally HD Receiver with 54.0 Voice Remote by DISH at Home Entertainment Centers Online. MPN: DN01016054. Hurry! Limited time offer. Offer valid only while supplies last. The Wally brings premium quality to a standard receiver! This feature-rich satellite receiver sports a modern look and brand-new user interface. The Wally brings premium quality to a standard receiver! This feature-rich satellite receiver sports a modern look and brand-new user interface. Wally?s technology enables users to enjoy a variety of apps and other great features. The Wally will be recommended for a non-Hopper solution without DVR capabilities. The Wally can only be paired with other Wally?s. They can not be combined with other receiver families on the same account. Features HD single-tuner operation. New user interface with HD graphics. Sleek design allows for multiple installation options. Ethernet connectivity (optional USB Wi-Fi adapter available). Two USB 2.0 ports. HDMI port. DVR using optional external Hard Disk Drive. Netflix?, Game Finder and other apps. Bluetooth audio support (with use of USB adapter). Mobile antenna support. Over-the-Air (OTA) channel integration with separate OTA adapter. Supports 4K programming. Includes the 54.0 Voice Remote.